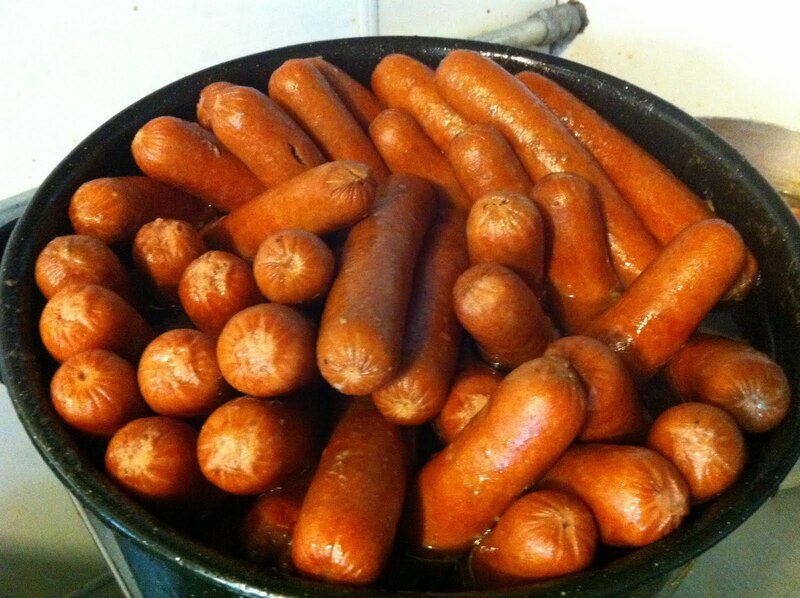 There is a time in every man's life when he wonders just how many hot dogs he can eat. The cylindrical tubes of mystery meat are fed to us in our youth, used as fish bait at ponds with our fathers, and glamorized on the most American of holidays. There are terribly crappy hot dogs that will stain fingers with an eerie pink hue. There are also gourmet dogs that claim to made from quality ingredients and are craftily cased for consumption. No matter the dog, and no matter how much of a foodie I have become, I've never stopped my appreciation for the wiener. Throw it between an elongated bun and top it with cheese, chili, mustard... I'm down. So when Frankie's Dawg House in Baton Rouge announced a Fourth of July Hot Dog Eating Contest, I knew I couldn't pass it up. Frankie's definitely has some high quality dawgs and buns, so I figured the taste wouldn't be the issue. Still, despite knowing that ultimately the challenge requires being a glutton for gastronomic punishment, I also knew my abilities to consume the Frankie's frankfurters could reign supreme. Fresh on the heels of watching Baton Rouge's own Adrian Morgan down 31 hot dogs in 10 minutes at the Nathan's contest in New York, let along seeing champion Joey Chestnut take down 62 dogs and buns, there certainly seemed to be an air of excitement at Frankie's. Eight competitors braved the July South Louisiana Heat and gave it their best effort. However, after an hour of downing dawgs, only one man could emerge victorious. I'll let the video do the rest of the talking. Big thanks to TommysTV for the film! Feel free to watch full screen and bump it up to HD! Oh, and caution to any week stomachs out there. This might get messy!